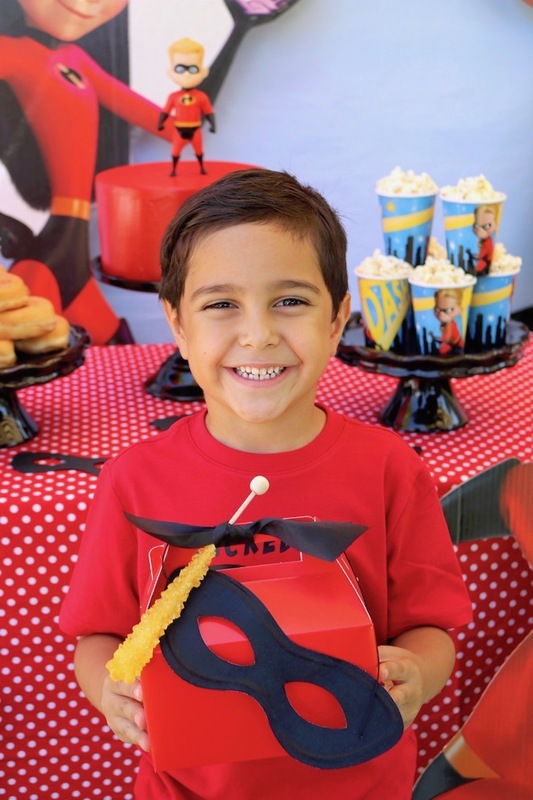 Celebrate with an Incredibles 2 birthday party! 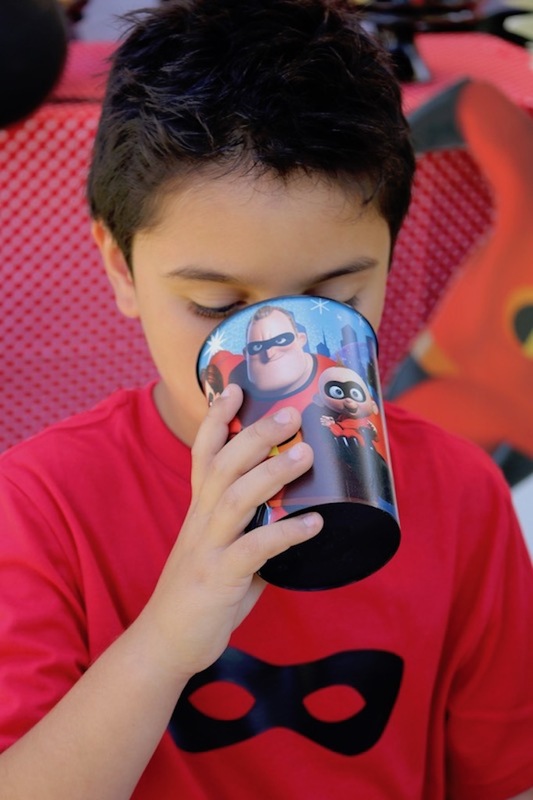 The Incredibles 2 movie has become a summer favorite! 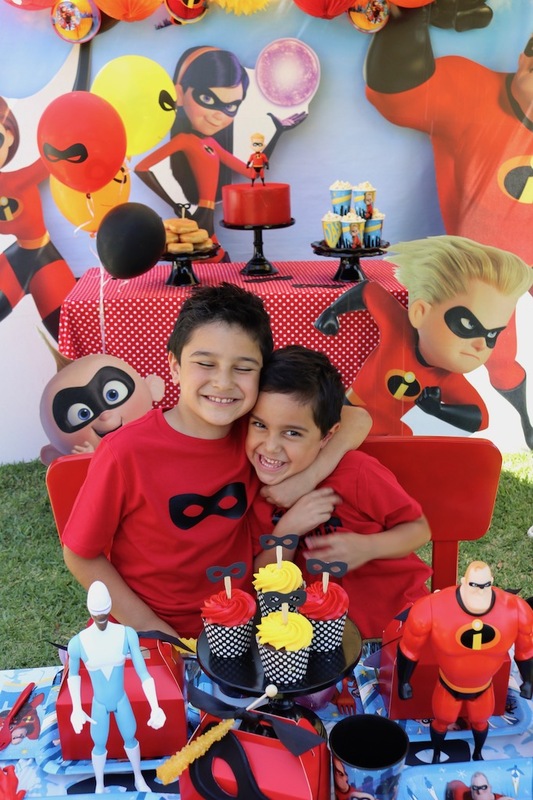 Throw an epic Incredibles 2 birthday party with our easy ideas and festive decor! 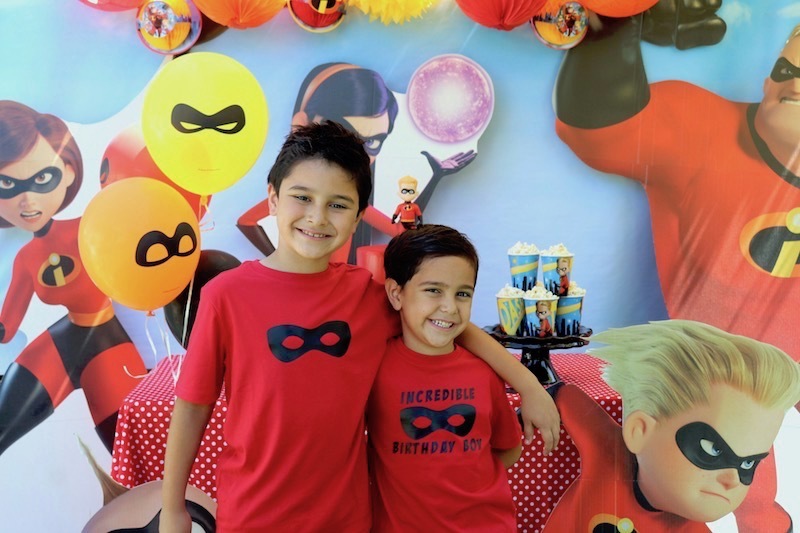 Kick off an "Incredible" themed party with Incredibles 2 standees! Choose from all the main characters and invite them to the party! 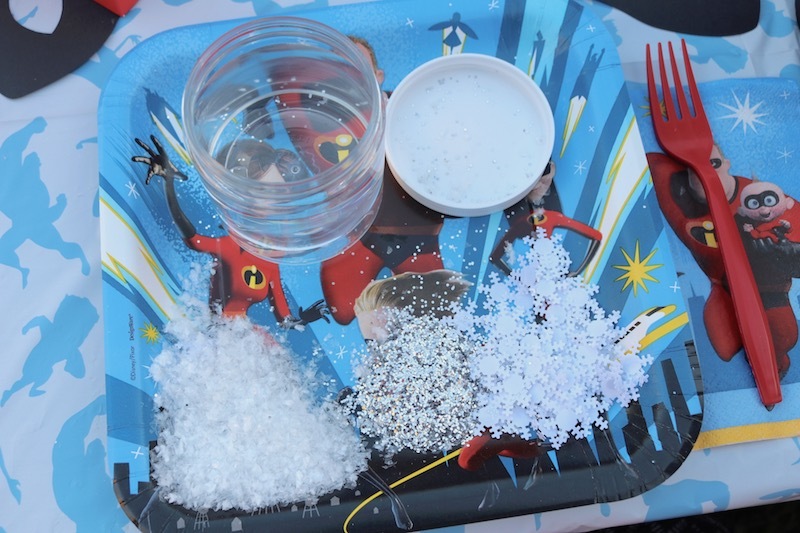 It's Incredibly easy to create an amazing Incredibles 2 with all the decor options from Shindigz! 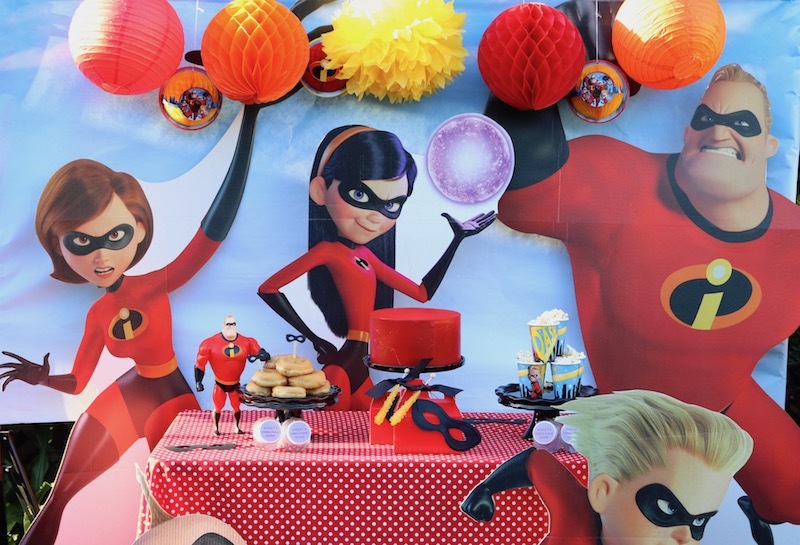 Quickly create a party backdrop by using Tissue Poms, Tissue Balls, and Incredibles 2 Tissue Decorations! 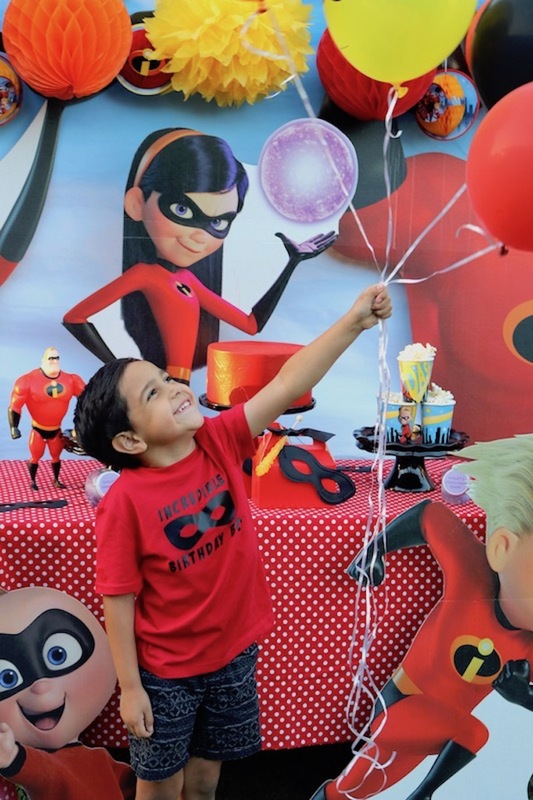 Make your party pop with Incredibles 2 balloons, and homemade shirts. 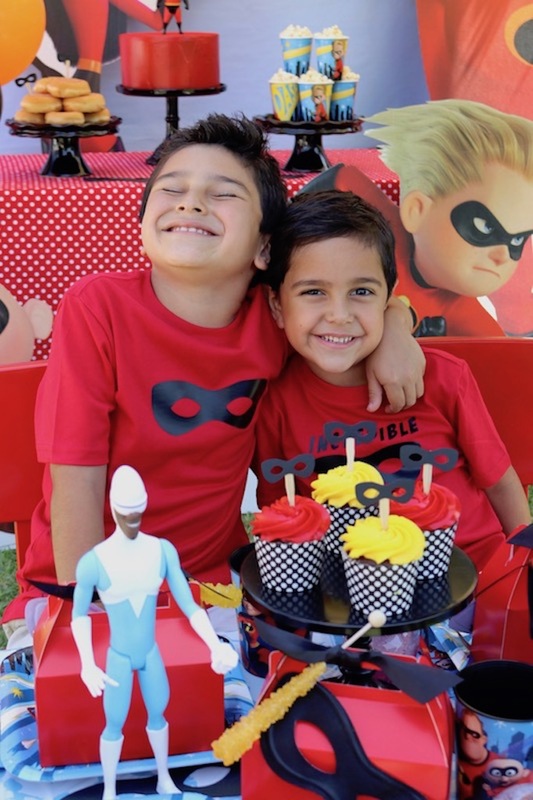 Set up a party table that is fit for an incredible superhero! 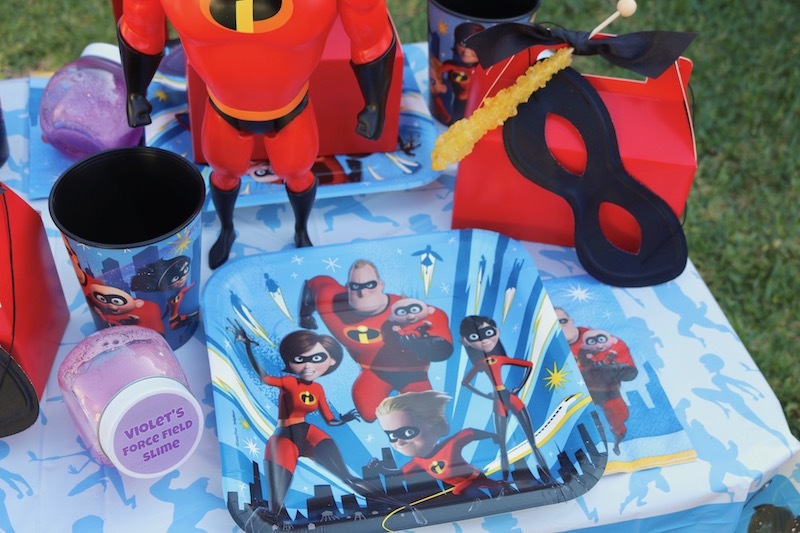 Incredibles 2 plates, Incredibles 2 napkins, and Incredibles 2 favor cups will look great on top of an Incredibles 2 table cover! 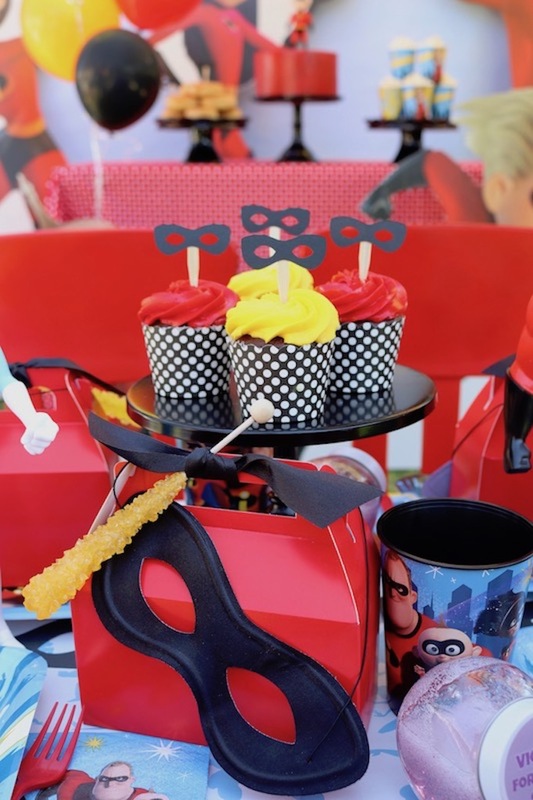 You can easily create fun party favor boxes for each guest by adding Superhero Masks and sweet Rock Candy Sticks to Red Gable Boxes. 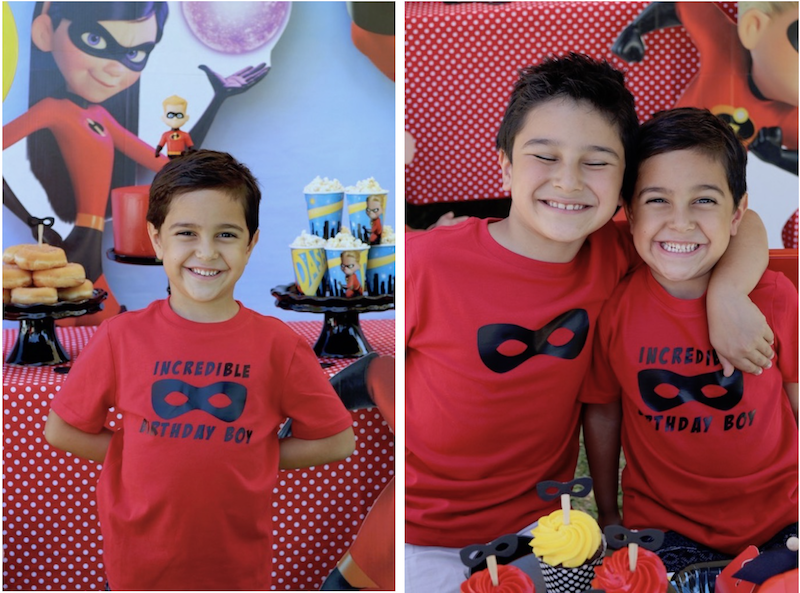 Create party shirts for the guest of honor and party guests! Iron on an image to t-shirts and you're good to go. Not only will they look great in pictures, but they also make great party favors! 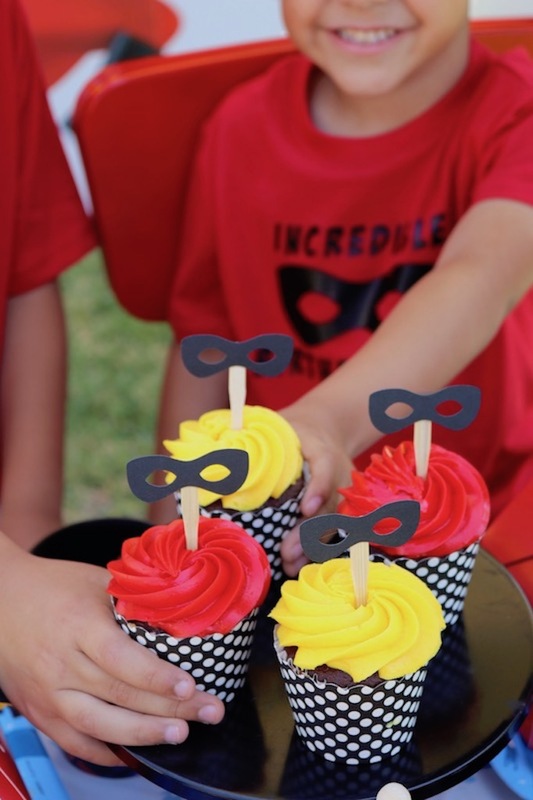 Need some ideas for some fun Incredibles 2 themed party activities? How about a Frozone snow globe?! 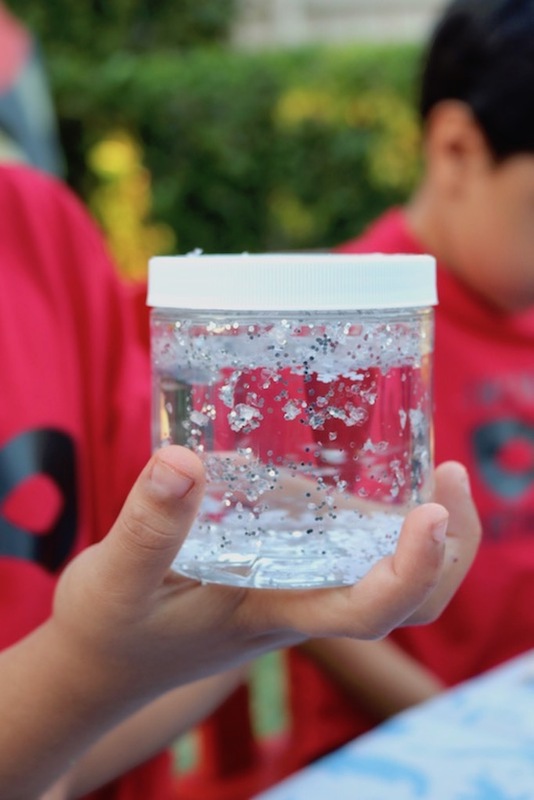 Grab a plastic jar, Sparkling Snow, Silver glitter, and Snowflake Confetti. 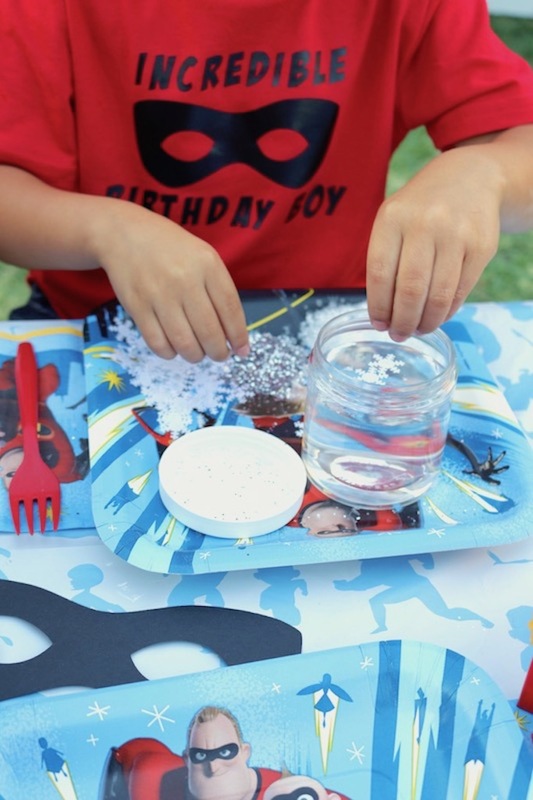 Fill the jar with water and start adding in all the fun ingredients! Shake and enjoy. 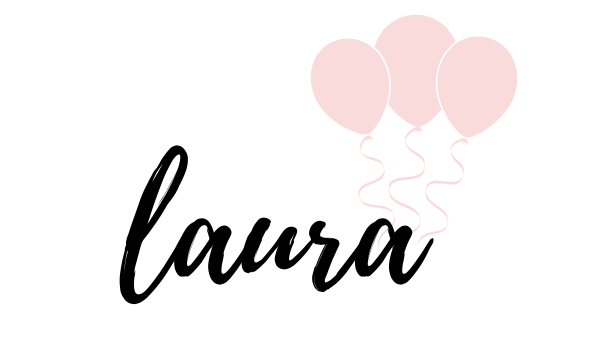 Another fun party activity? How about some slime?! So many children love it and you can easily find a recipe on the internet. 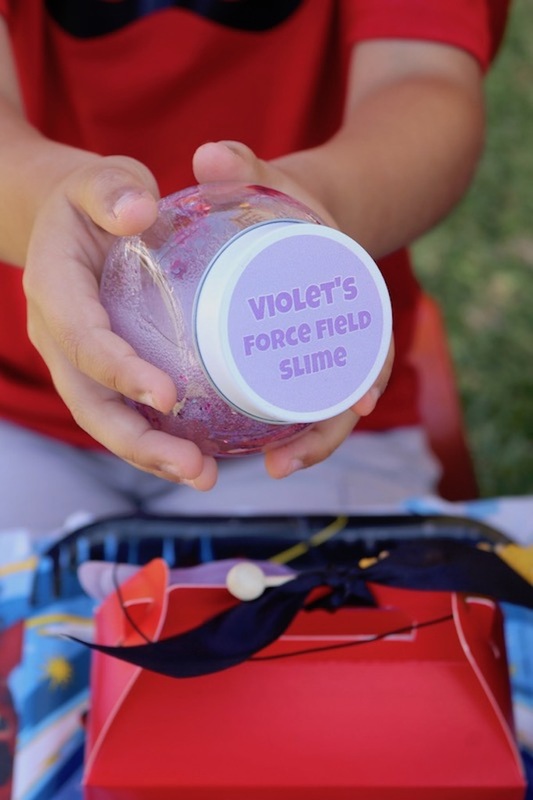 Before our guests arrived, we whipped up "Violet's force field slime". 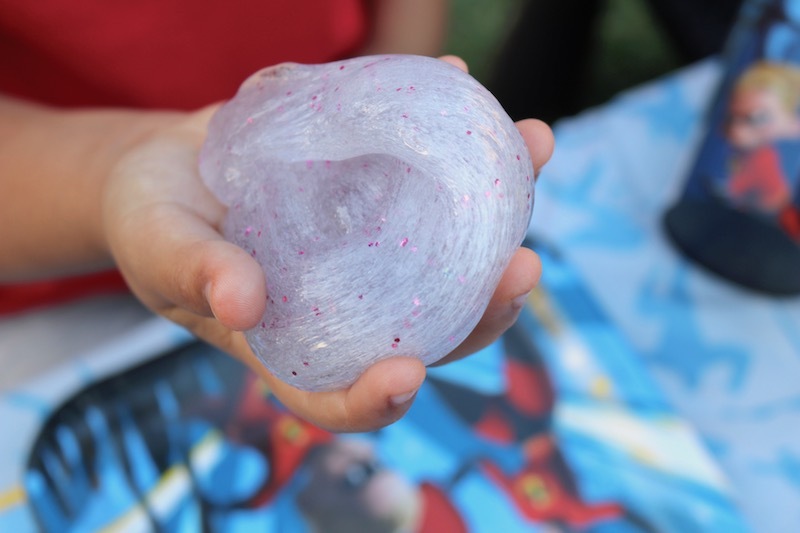 We added purple glitter to our slime mixture and it was a hit! 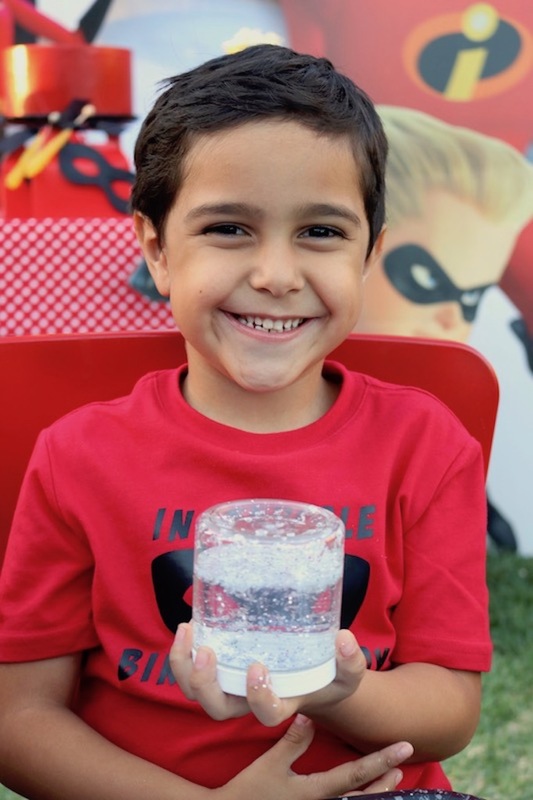 We used the Create-A Candy Jar to hold our slime and personalized the caps to coordinate with our Incredibles 2 theme! Gather the kids and start planning for your next celebration! 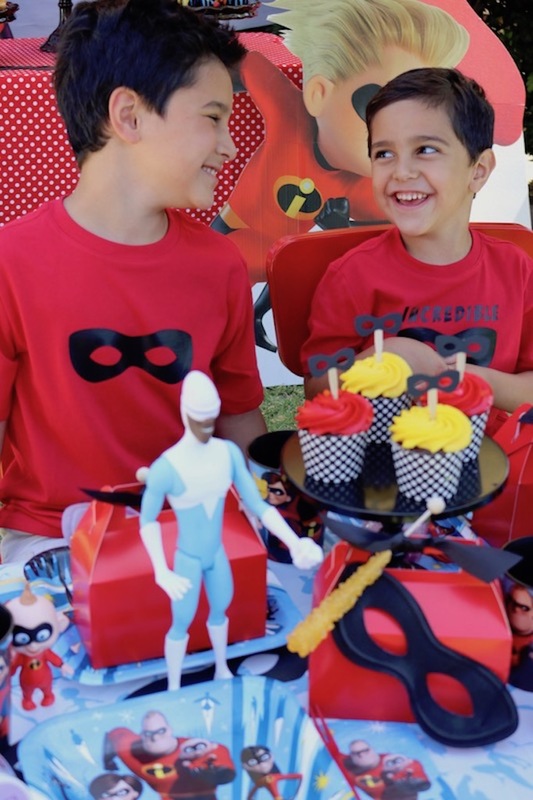 They'll love celebrating with an Incredibles 2 themed birthday party!